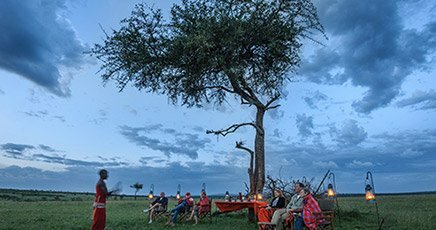 Ubuntu Migration Camp stops at three spectacular locations across the north, west and south of the Serengeti, following in the tracks of massive herds of wildebeest as they cross the vast plains of the Serengeti in an ancient migration cycle. 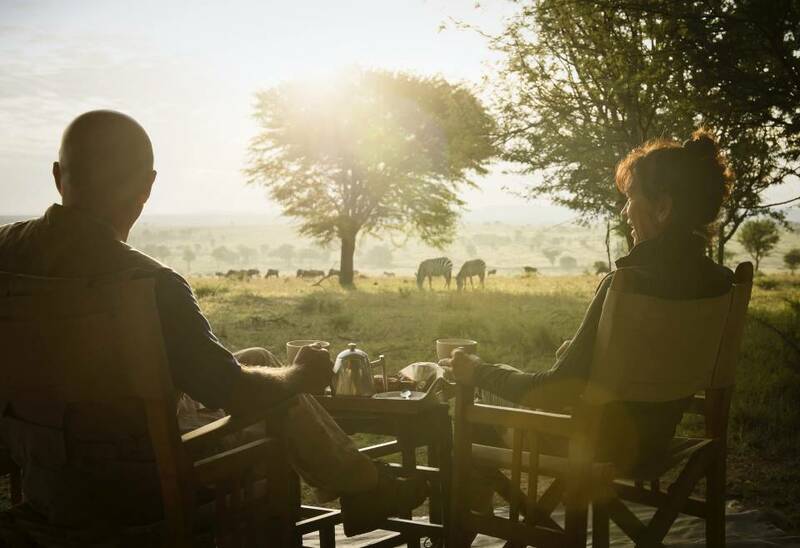 Shadowing the wildebeest’s every move, Ubuntu Camp uncovers fascinating and unexplored corners of this great wilderness, ensuring that first-class game viewing is never far away. 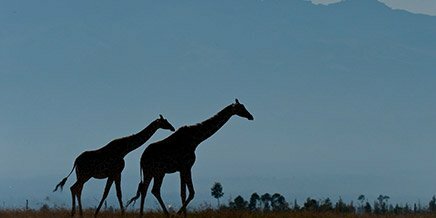 With their unwavering focus on keeping pace with the migration, Ubuntu’s guides have an enviable reputation for bringing this remarkable natural phenomenon to life. 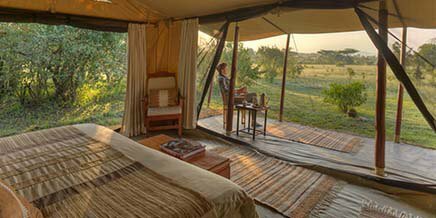 The camp itself is intimate and personal, and the seven spacious tented suites epitomise traditional East African safari charm. 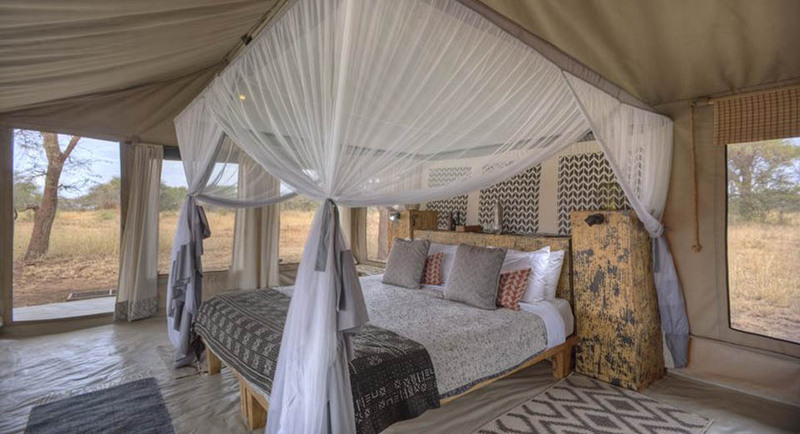 Rates include: Full board accommodation, all house drinks (except champagne), scheduled open-vehicle game drives, transfers to/from Serengeti South Airstrip (16 Dec – 15 Mar), Kogatende Airstrip (25 Jul – 15 Nov), and Grumeti Airstrip (1 May – 16 Jul), laundry service. Grumeti (May to July): 45 min. Kogatende (July to November): 45 min. 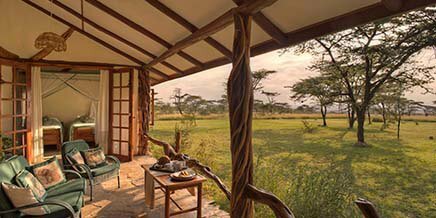 Serengeti South (December to March): 60 to 90 min. 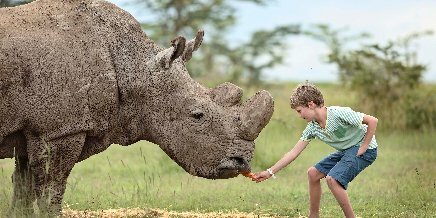 Families with children aged five and older are warmly welcomed in Ubuntu Camp, we even have a family tent. 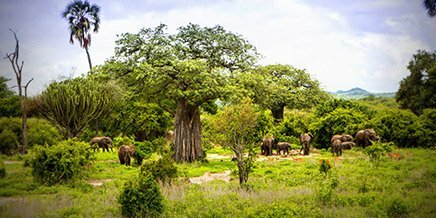 In Swahili ‘Ubuntu’ stands for kindness and generosity towards others – and this small and intimate camp certainly lives up to its name. 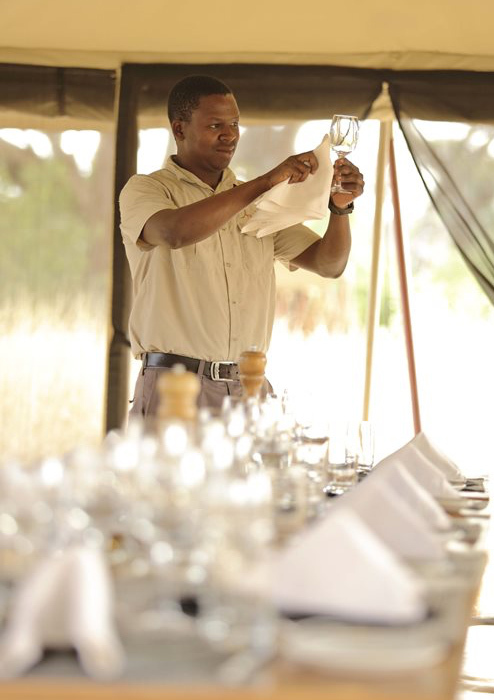 The close-knit team of friendly staff and experienced guides ensure that warm hospitality, great food and a wonderfully relaxed atmosphere remain at the heart of Ubuntu Camp. 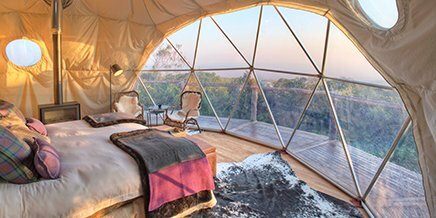 The open-plan main area spills into the surrounding wilderness – impressive views of the landscape stretch as far as the horizon. Here you can explore the library or spend a lazy afternoon watching game on the sprawling plains. 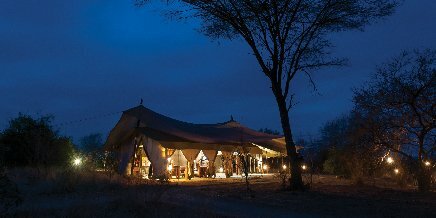 Breakfast and lunch are served under canvas in the next-door dining tent, while dinner is often enjoyed under the stars beside the glowing embers of the campfire, to the soundtrack of the Serengeti’s nocturnal animals. 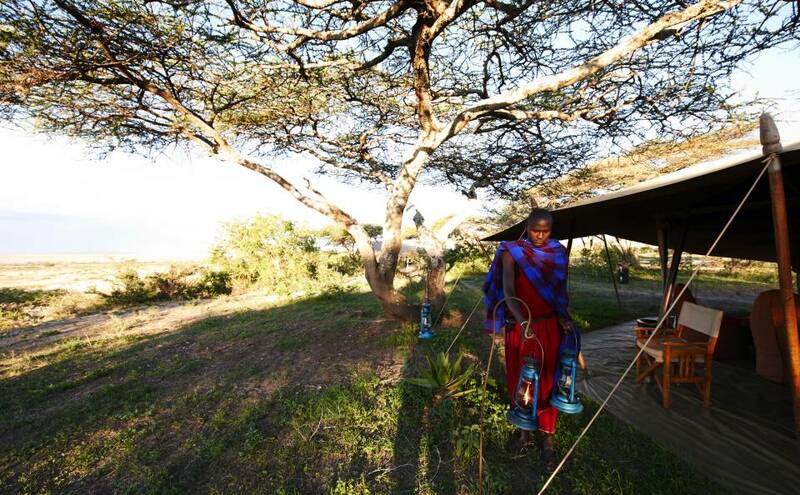 Delicious home-cooked meals taste even better in the bush. When Ubuntu is in the north, we source our fresh fruit, salads and veggies from our community-upliftment programme in the nearby village. 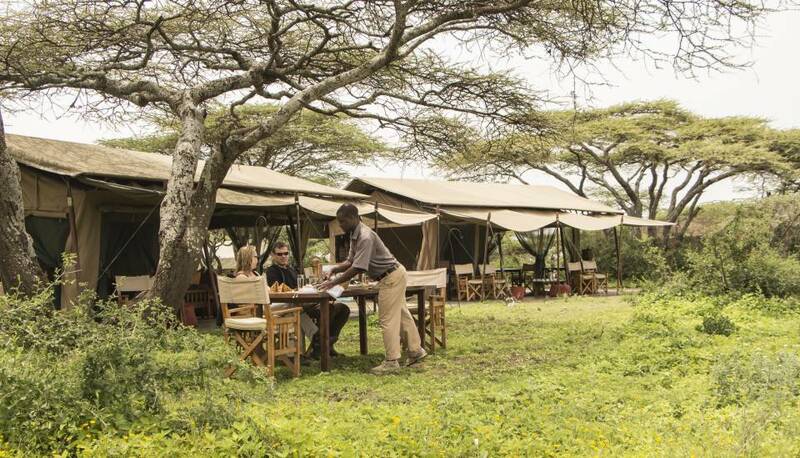 After an early start for morning game drives, breakfast back in camp is a tempting spread that includes a Continental or full English breakfast. Light, buffet-style lunches include plenty of salads with your main course. 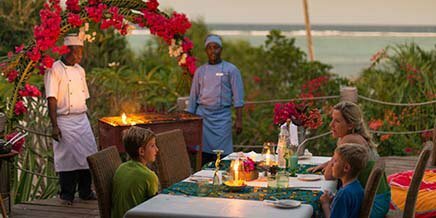 Dinner is a three-course silver service affair or a delicious barbecue. 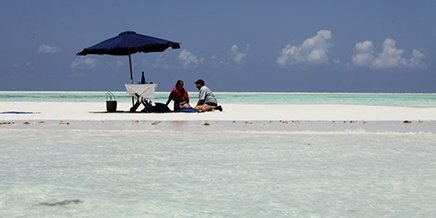 If you’d like to extend your game-viewing time, why don’t you request a picnic breakfast or lunch? These include a range of freshly baked sweet and savoury treats. 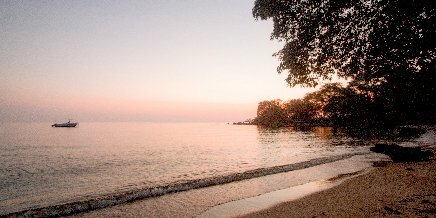 Please let us know if you have any special dietary requirements – our camp chefs will be happy to cater for your needs. 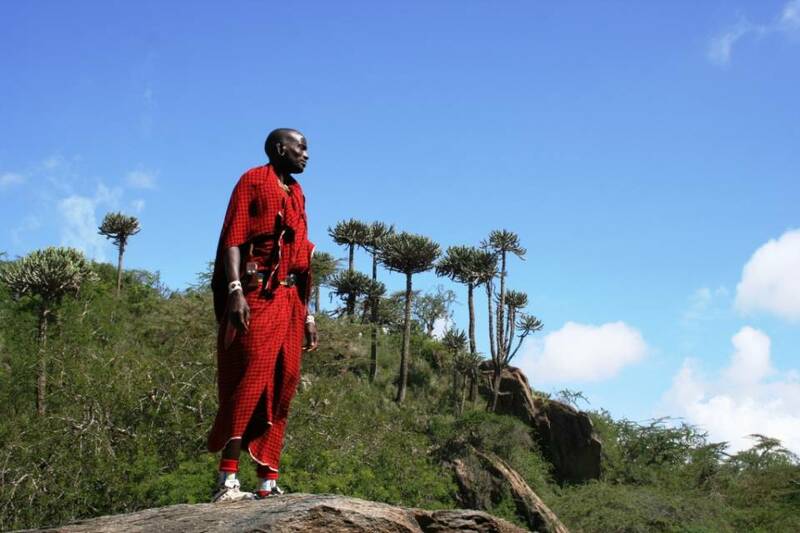 As Ubuntu migrates from region to region, the cast of animals in the spotlight changes subtly. 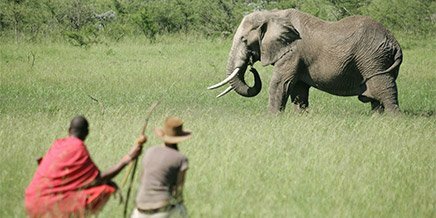 The very best time for rewarding game viewing is in the cooler early mornings and late afternoons, when the animals are at their most active. 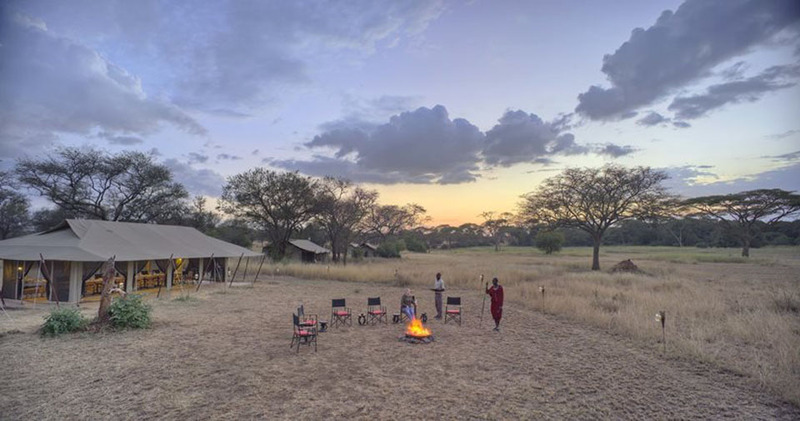 Depending on the season, your day may start slightly earlier or later, but the general pace of life in camp is focused on giving you the very best possible game-viewing experience. 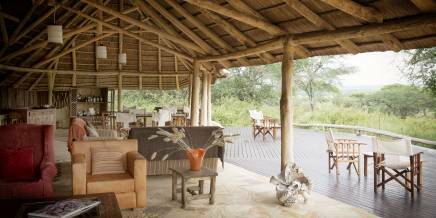 If you have booked a private game-viewing vehicle do discuss personal schedule preferences with your guide. 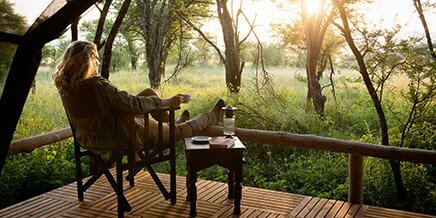 09:30–11:30 Arrive back in camp after game viewing, take some time to relax and freshen up before sitting down to enjoy lunch. Families with children aged five and older are warmly welcomed in Ubuntu Migration Camp, we even have a family tent. Note that children below 12 should always share a room with an adult. Please speak with your agent about vehicle options for families. 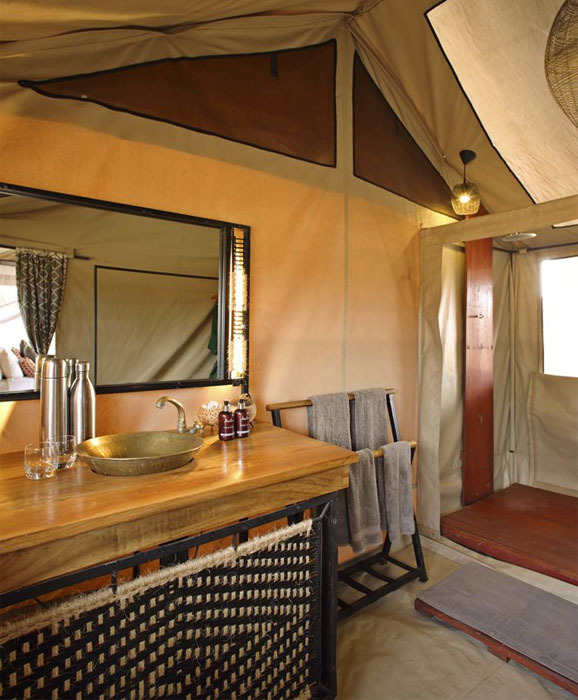 Ubuntu’s eight suites are spacious under-canvas safari tents, designed to balance traditional safari authenticity with true comfort. 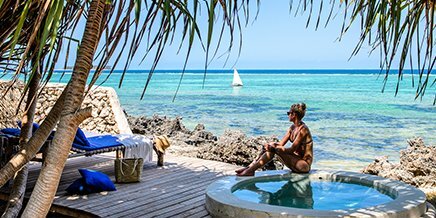 Each room has king-sized beds (twin beds are available) and en-suite bathrooms with hot-water safari bucket showers and flushing toilets. 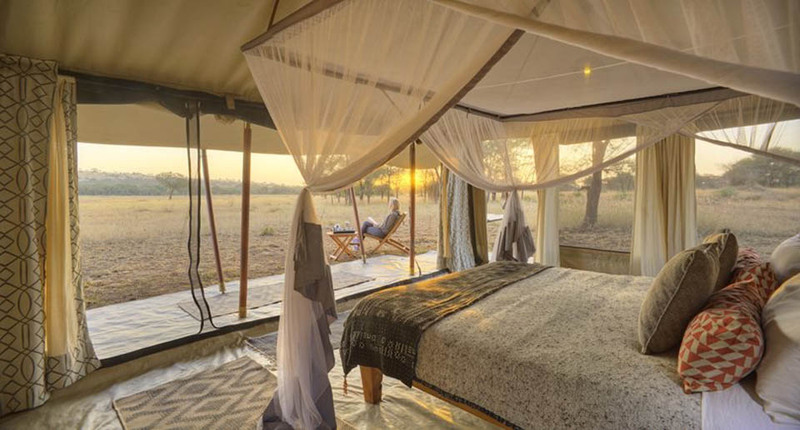 Three times a year this traditional-style safari camp packs up and moves to keep up with the massive herds of wildebeest as they migrate in a never-ending cycle in search of fresh grazing and plentiful water. 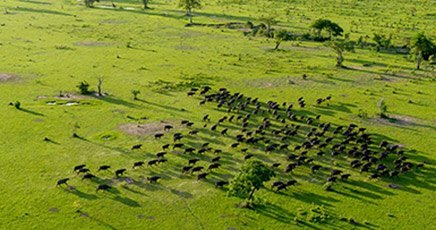 In May, Ubuntu is on the move, travelling to the Western Corridor with the herds as they continue their cyclical trek to the North. 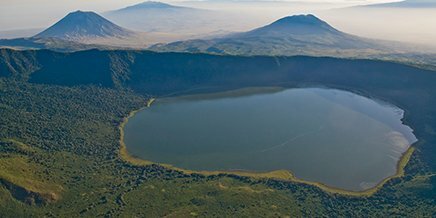 Home is close to Handajega, a serene and peaceful setting between the Nyakoroma Hills and the border of the National Park, and days are spent watching the wildebeest cross the Grumeti River as the predators stalk their every move. 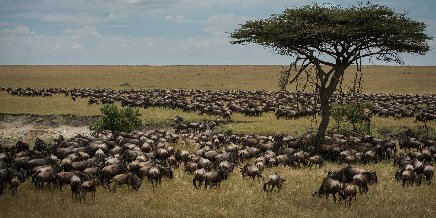 From late July to October, Ubuntu is positioned to intercept the Great Migration in the northern Serengeti as the herds make their way towards Kenya and the Maasai Mara. 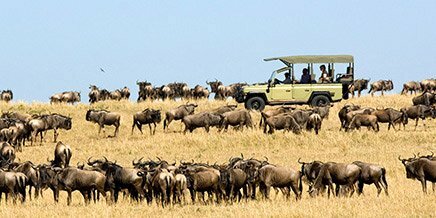 Daily game drives stop regularly at the Mara River to observe the spectacular river crossings across waters populated with Nile crocodiles and hippo, providing dramatic and exciting game viewing. 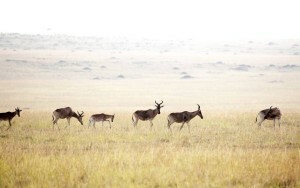 The northern plains are home to large herds of resident plains game throughout the year – this draws high numbers of predators, and so sightings of lion, leopard and cheetah roaming the grasslands are frequent. 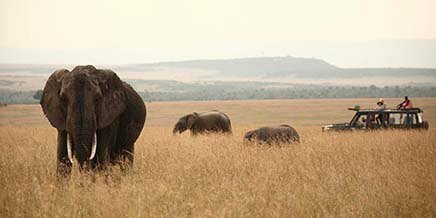 Herds of elephant can be found in the lush woodland that lines the Mara River as well as an astounding array of birdlife, with over 500 species in the area. 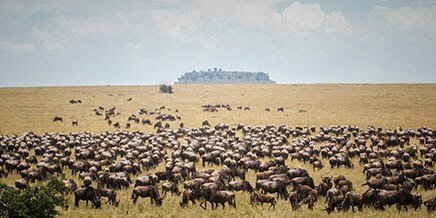 As they have done for millennia, the herds will eventually answer the call of the migration and head for the southern Serengeti’s endless grasslands. 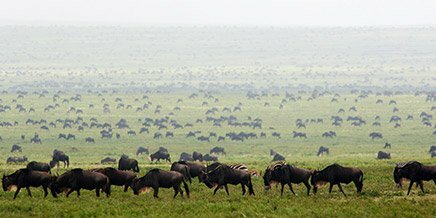 Here they will rest and graze on the newly sprouted grasses, and in February, the plains are speckled with thousands of tiny wildebeest babies as the mothers calve in a remarkably synchronised and awe-inspiring event. Moving with the Great Migration, Ubuntu consistently produces spectacular game viewing wherever it goes. 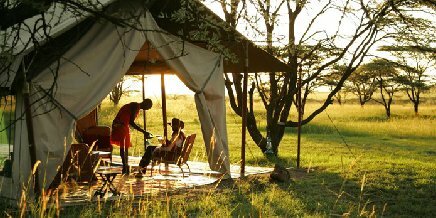 It is a completely safari-orientated camp, and so activities from Ubuntu will ensure you are always at the heart of the action. 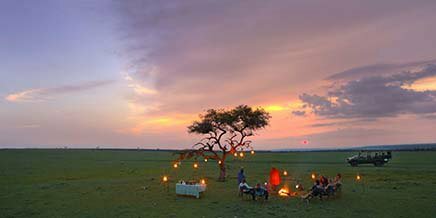 Ubuntu’s experienced guides help you to explore the finest areas of the Serengeti on morning and evening daily game drives. We have both open and closed game-viewing vehicles. All vehicles have power points where you can recharge your devices, and are fitted with fridges to keep your drinks deliciously frosty. The friendly atmosphere at Ubuntu focuses on community, and when Ubuntu is in the north (July to October) it is possible to visit the nearby local villages for a glimpse into the traditional way of life of the Kuria people. 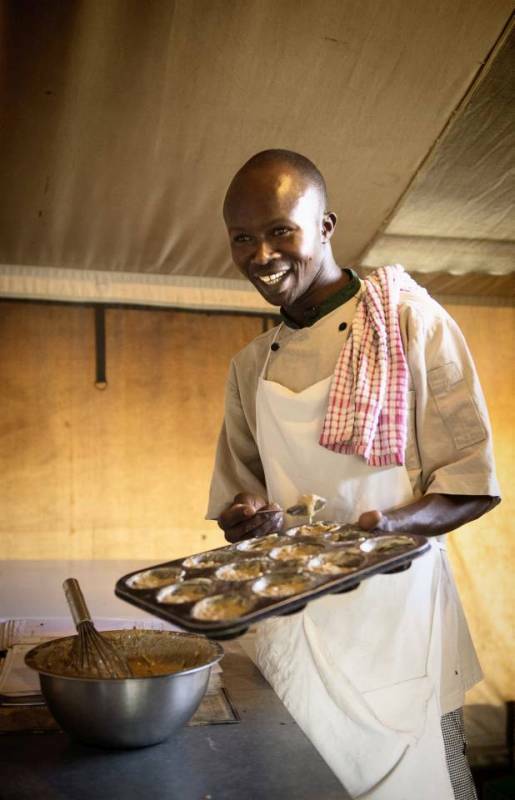 Maximise your time on the game-filled plains by enjoying a delicious packed breakfast or lunch provided by camp chefs while you’re on the move. Eat farm-to-table vegetables produced by the local gardeners at Ubuntu North. This initiative, started and mentored by Asilia, ensures that fresh, organic vegetables appear on your plate – but it also provides a livelihood for rural people who would otherwise have none. 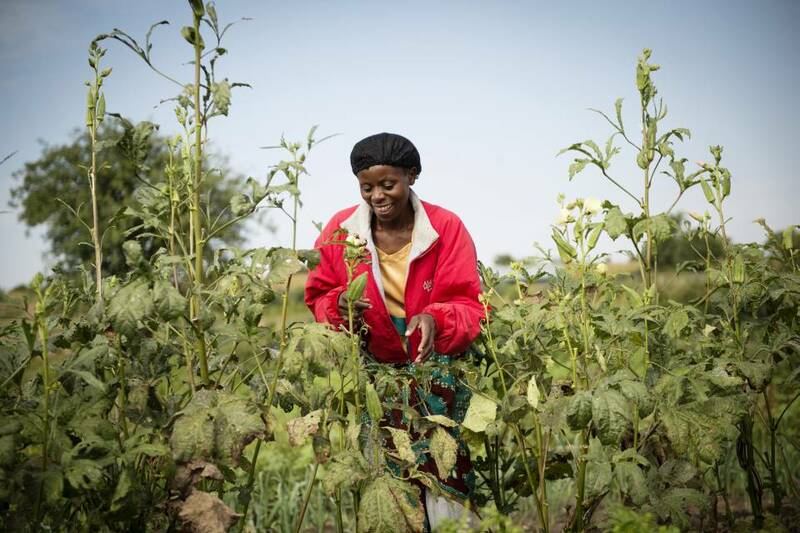 “It stops me from doing bad things,” says Juliana Myenjwa, farmer and mother of eight, from Merenga village. The only impact Ubuntu Camp aspire to leave behind is a positive one in the communities who earn a livelihood through our presence. 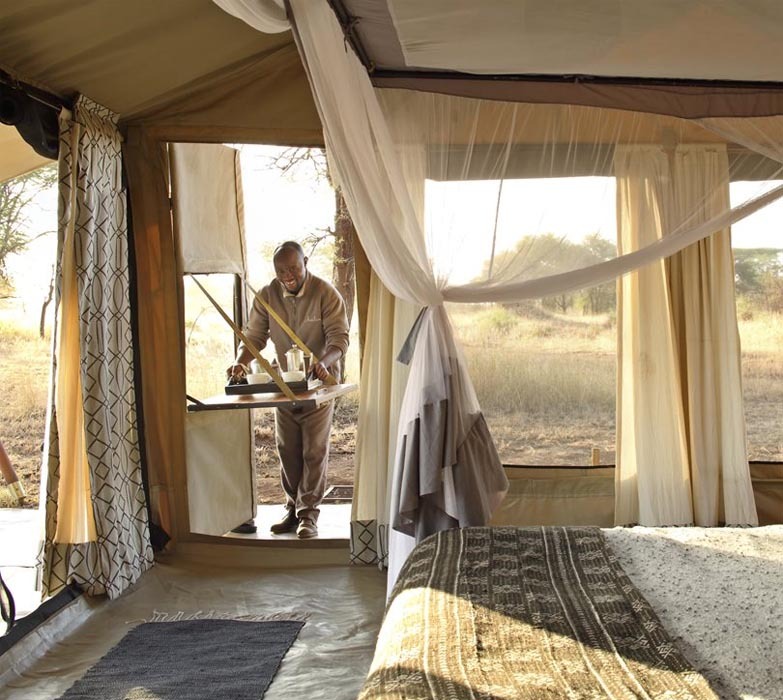 The tented camp has no permanent structures: it is broken down and moved three times a year, leaving the precious site as we found it with the exception of a couple of footpaths, themselves quickly reclaimed by the resilient African bush. Ubuntu Camp is fully supported by solar energy. 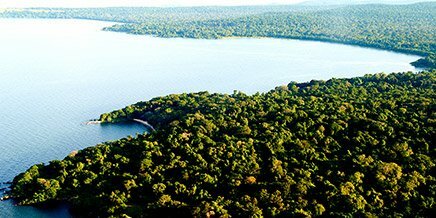 Any emissions from our back-up fossil-fuel consumption are offset through a local community forestation programme. 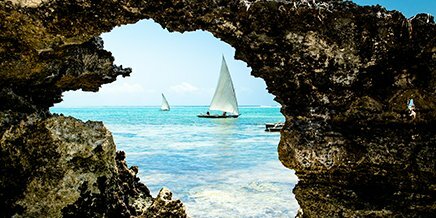 Ubuntu is recognised by Responsible Tourism Tanzania for integrating its working culture and daily operations into a sustainable and responsible management approach. Systems are in place to monitor and direct operations. All employees understand the triple bottom line, which forms the core of the company culture. 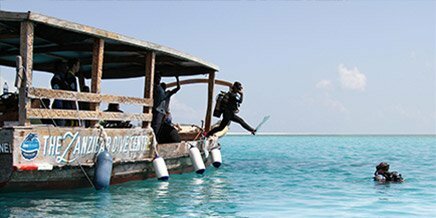 Ubuntu is also recognised by Fair Trade Tourism which benchmarks responsible tourism standards across the continent. 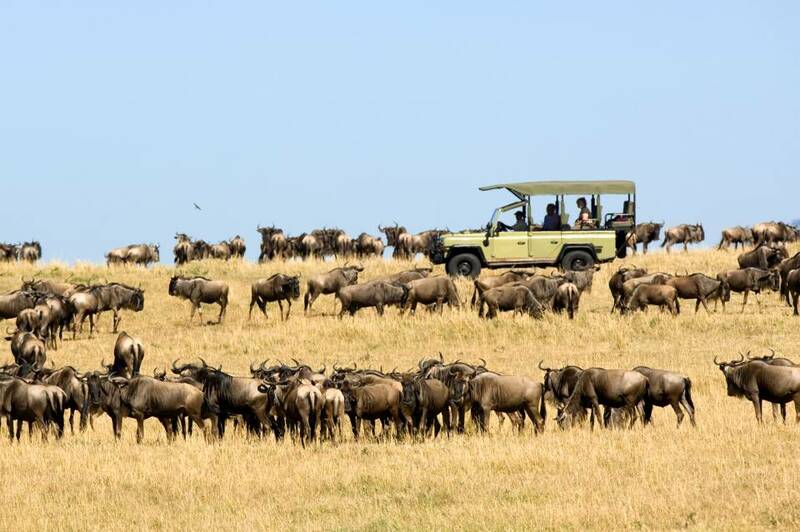 Without doubt the annual Wildebeest Migration is one of nature's greatest spectacles. Let Asilia ensure that you have fron-row seats away from the crowds. 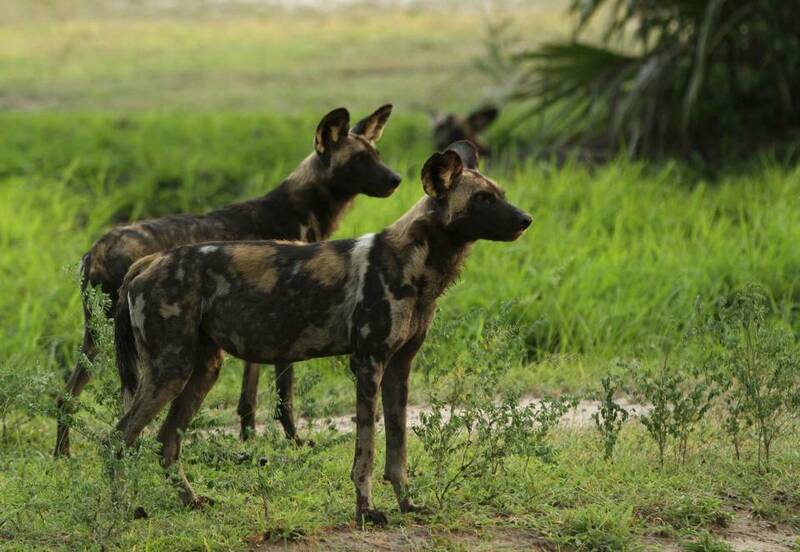 Let Asilia show you the Big 5 and magnificent apex predators of the ecosystem for memories that will last a lifetime. 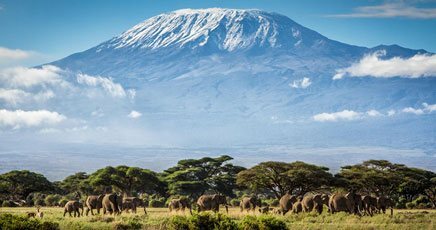 witness nature’s greatest wildlife spectacles. Glide over the vast plains. Spot game from specialised vehicles. 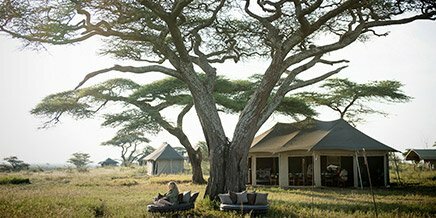 Safari in style in Tanzania’s northern Parks before flying to the white sands and infinite blue seas of tropical Zanzibar Island. 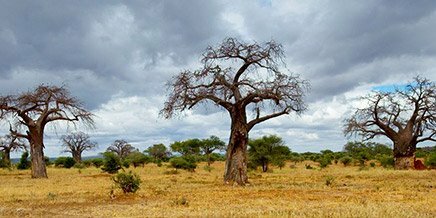 Guest served lunch under acacia tree at Ubuntu Camp. Ubuntu Camp guest bedrooms views. 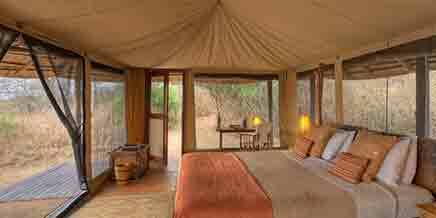 The gorgeous guest bedrooms at Ubuntu Camp. Hot beverages being served to guests in their bedroom. The Family Tent at Ubuntu Camp. 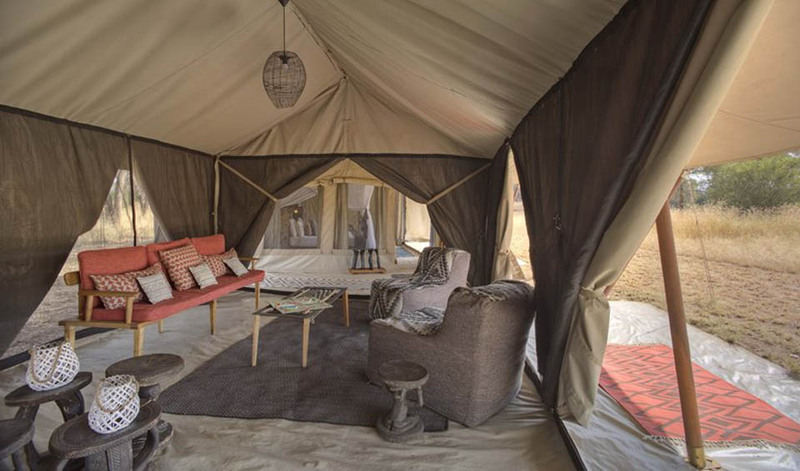 The lounge area that interlinks the Family Tent bedrooms. Bathroom details at Ubuntu Camp. 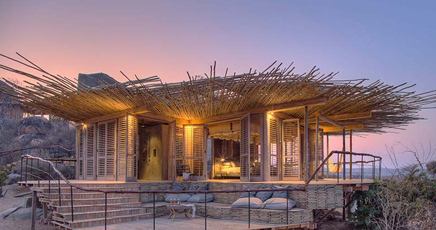 The Ubuntu Camp guest bedrooms at sunset. 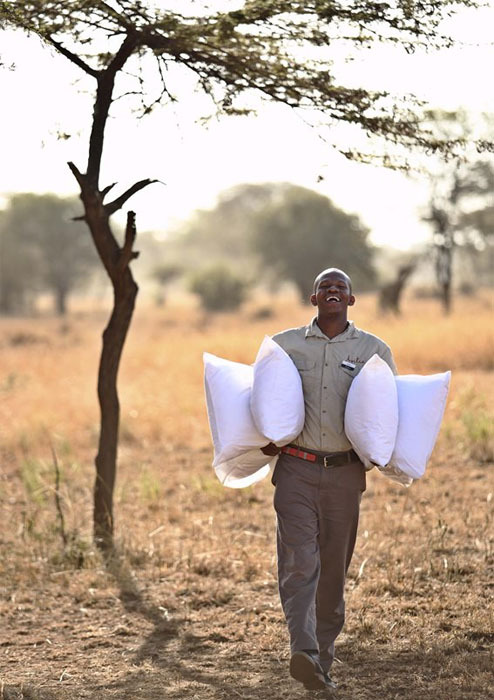 Staff on their way to prepare your bedroom for you. Dinner preparations underway at Ubuntu Camp. Breakfast in the bush with Ubuntu Camp. Looking after the people who look after you is an important part of our success. 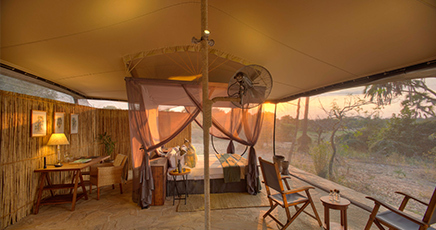 Unbuntu, Serengeti. Ubuntu Camp chef cooking with a smile. Setting up for dinner at Ubuntu Camp. Setting up for sundowners at Ubuntu Camp. 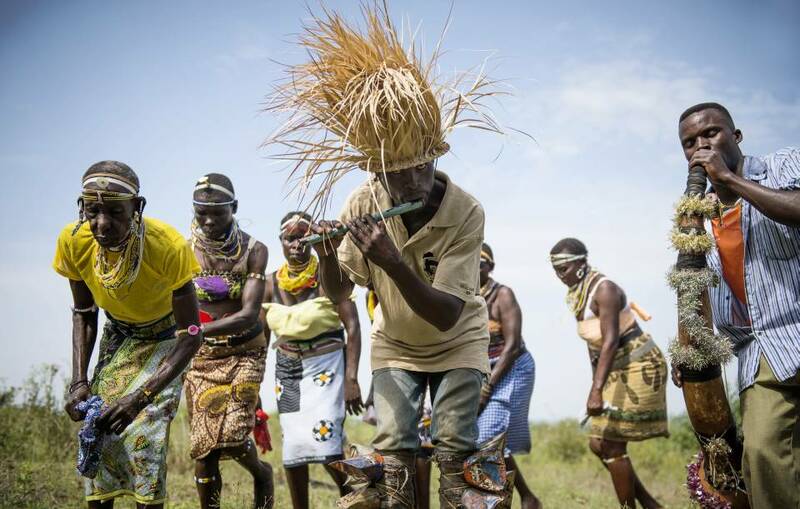 Traditional dancers of the Kuria people, northern Serengeti, near Ubuntu North. Harvesting okra from in the community vegetable gardens that supply our camps. 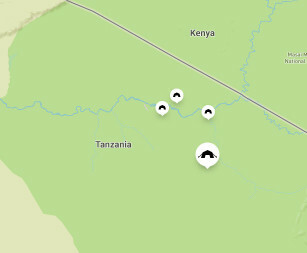 Ubuntu Camp guide game spotting at the Southern Serengeti. 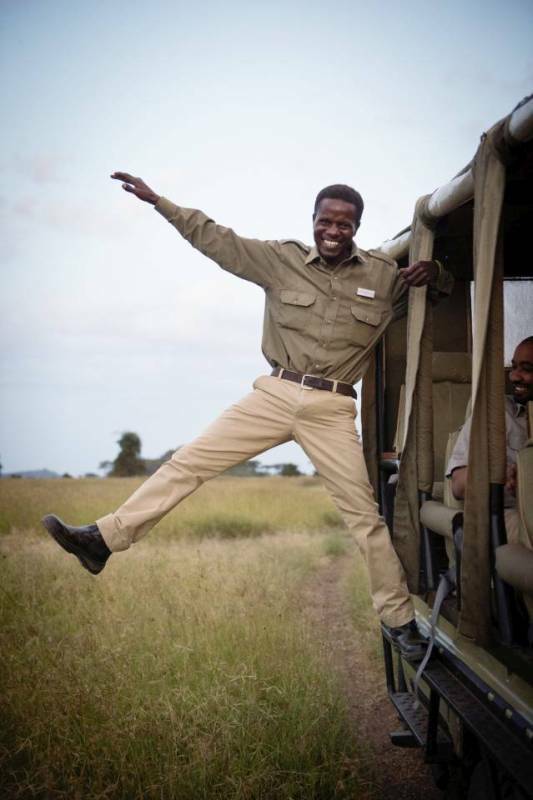 Ubuntu Camp campsite and guide in the Southern Serengeti. 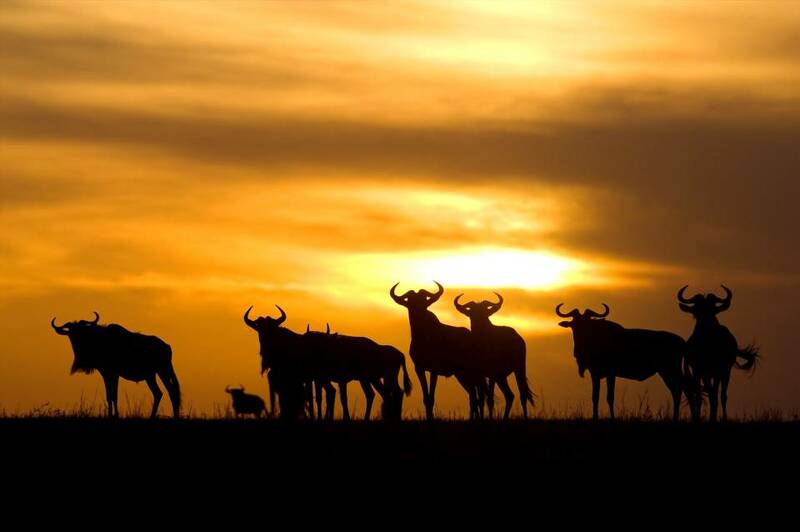 The Great Wildebeest Migration passes Ubuntu Camp. 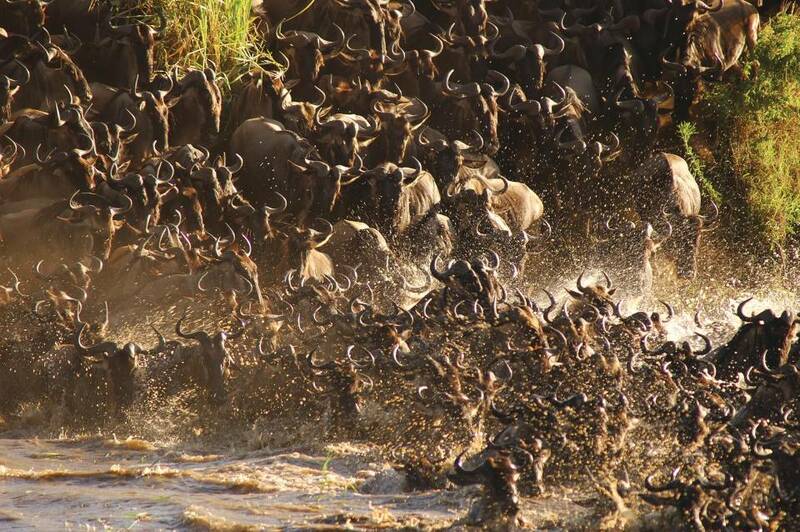 Ubuntu Camp wildebeest migration crossing the Mara River. 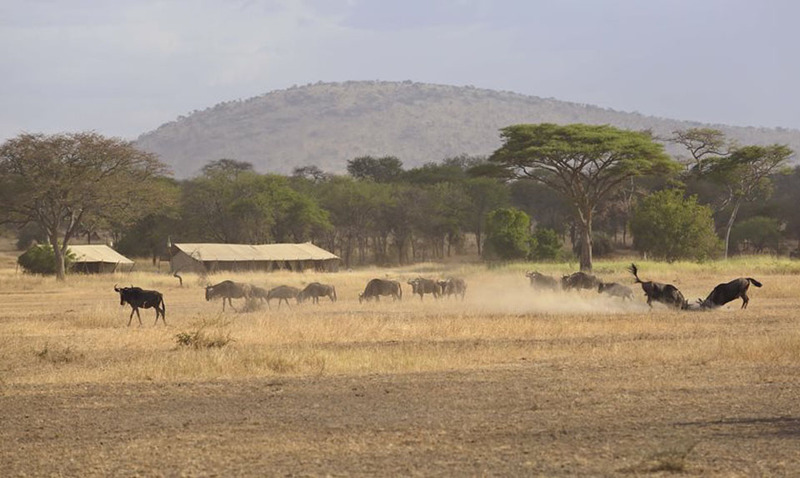 Wildebeest migration spotted on a game drive at Ubuntu Camp. 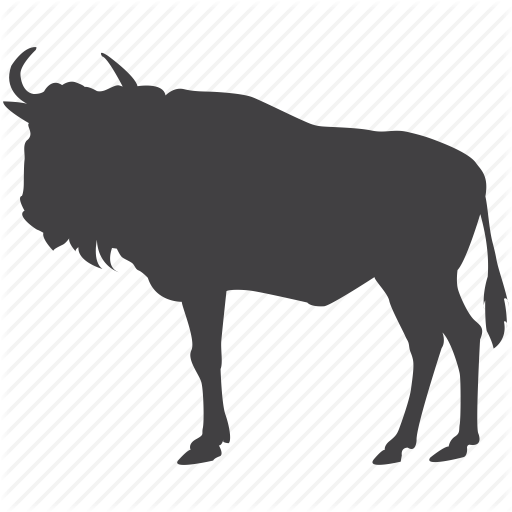 Hartebeest seen near Ubuntu Camp.